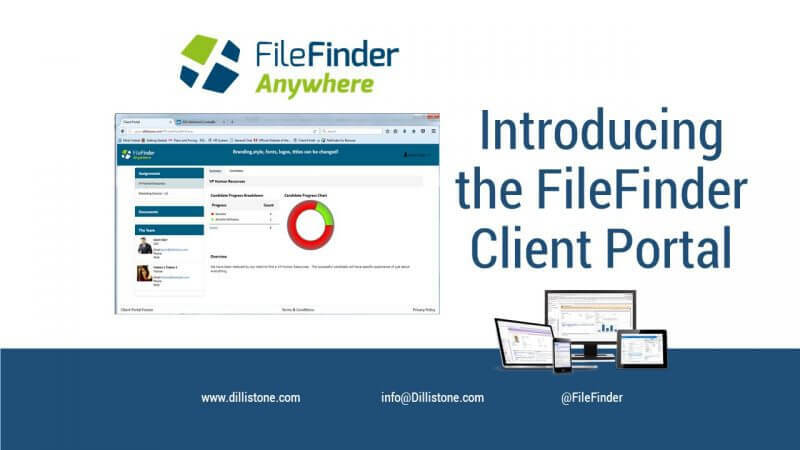 Dillistone Systems, the provider of the market leading FileFinder Anywhere suite of Executive Search applications has announced the launch of the latest generation of the FileFinder Client Portal. The Portal allows Executive Search firms to publish assignment related information on a secure website. This website is then available to the end client who can review and provide feedback on searches as and when they wish to. 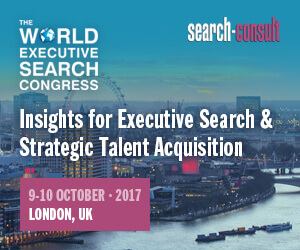 “We continue to develop functionality that allows Executive Search firms to be more productive. Our first Client Portal was launched back in 2003 – we were the first supplier to offer such an App – but we’ve moved on a long way since then. The latest generation of our portal is unique in that it allows our clients a huge amount of control over the end user experience – and can manage it all through our web-based tools,” explained Jason Starr, Managing Director of Dillistone Systems. Dillistone Systems is the leading provider of Executive Search software powering recruiters and strategic recruitment teams around the world. FileFinder Anywhere is the latest generation of FileFinder Executive Search Software, a powerful, and yet easy-to-use, combination of database, project management, web research and CRM tools. Dillistone Systems is part of Dillistone Group Plc, a global provider of software and services to recruitment firms and recruiting teams within major corporations.